Non-profit organizations, especially religious-based institutions, have long played a very important role in society. The scope, scale and range of their activities focus not only on the traditional domain of charity but include job training, community and economic development, housing, substance abuse programmes, refugee placement, and various other services. In general, accountability shows a relationship between two parties in which one party (individual, group, company, government, organization, etc.) is directly or indirectly accountable to another party for something, whether it is an action, process, output, or outcome . Accountability has been used to describe the responsibility of those who manage or control resources for others as illustrated by these definitions: “a relationship which involves the “giving and demanding of reasons for conduct” , and accountability is “holding individuals and organizations responsible for performance measured as objectively as possible” Thus, from the various definitions it is assumed that accountability exists when there is a relationship between one party and another. This view assumes that some individuals, small groups or organizations have certain rights to make demands over the conduct of another, as well as seek reasons for actions taken and the individual, or organization is answerable to a higher authority for action taken and for handling the resources received. Historically, accountants and accounting have played a very significant role in Muslim society. “Accountant, who were known as al-katep held very prestigious position in government, business, and society”. The terms Al-ameel, Mubasher, Al- kitab or Katep Al-Mal were the common titles for the accountant/book keeper/accounts clerk, and were used interchangeably in different parts of the Islamic world. Historical handwritten books preserved in Turkey and Egypt reveal that accounting has been practiced and organized as a profession since the early stages of the Islamic state in Madinah Almunawwarah. The use of accountants was stated in Ahmad bin Ali Al-Kalkashandy’s handwritten book, which consists of ten volumes, of which volume 10 is dated 821 H (1418 AD). 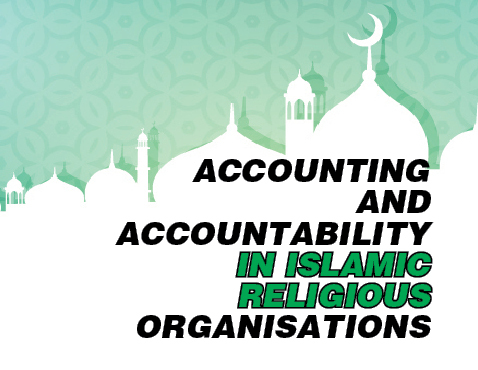 This book provides evidence of the use of accounting and the employment of accountants in Muslim society, which has been developed over a period of time since the establishment of the Islamic state in the year 1H 622AD. For five centuries, from 700 to 1200, Islam led the world in power. As a result, Muslim commerce extended beyond the Arabian Peninsula. This expansion of trade promoted the development of a mechanism for ensuring accountability for all business transactions and also for compliance with Islamic law. Islamic law, or shari’ah, regulates all aspects of life. It also encompasses criminal as well as civil jurisdiction. Every act of the believers must conform with Islamic law and observe ethical standards that are derived from Islamic Principles. These ethical principles define what is true, fair and just, the nature of corporate responsibilities, the priorities to society, along with some specific accounting standards. Muslim accountants, like any other adherent, must perform their duties in accordance with the rules and regulations of Islam and base their actions on Islamic ethical norms. From the Islamic point of view, those in charge of economic resources are obligated to present an account of the execution of their stewardship, irrespective of whether the transactions and resources in question are those of government, business or non-profit organizations. God appointed human beings as the stewards of creation, which was manifested by the saying of Prophet Muhammad “each one of you is a guardian and each guardian is accountable to everything under his care”. Therefore, as far as Islam is concerned, the management of either profit or non-profit organizations should perform their duties with the objective of satisfying the needs of the stakeholders as well as in accordance with the Islamic teachings. Islam has developed its own concept of accountability or Taklif, the term used by Al-Safi, which means that all Muslims are accountable for their actions or inactions on the Day of Judgment. Al Safi notes that: “Every person is responsible for his own deeds and everyone has a “book”, as a register of acts in which all deeds – small or great – are written down. God Almighty will bring all people to life after death and bring them from their graves so that each one of them will meet the result of his deeds, reward or punishment”. This is consistent with the Islamic ontology in which each Muslim has a dual worldview, this world and the hereafter. Thus, accountability in Islam requires every Muslim to make sure that their activities in the world are in line with Islamic rule. “Man is accountable to God and his success in the hereafter depends on his performance in this life on earth”. Indeed, this concept constitutes a core message of Islam, which applies to the political, social and individual realm. Clearly, Islam views the principle of accountability as comprehensive and applicable to all. In Islam, every Muslim has an ‘account’ with Allah, where all their actions, whether good or bad, are recorded. Thus, Muslims believe that they will account for their actions and inactions in this world. As such, every deed and word in this world must be in line with the Islamic teachings. The concept of accountability in Islam is derived from the Qur’an, which makes reference to the principle of accountability. According to Askary and Clarke (1997), in the Holy Qur’an, “Allah repeats the word Hesab or ‘account’ as the root of accountability, more than eight times in different verses”. To account, in its generic sense, relates to one’s obligation to ‘account’ to God in all matters pertaining to human endeavour, for which every Muslim is ‘accountable’. The Basic similarity between hesab in Islam and account lies in the responsibility of every Muslim to carry out duties as described in the Holy Qur’an. Similarly, in a business enterprise, both management and the providers of capital are accountable for their actions both within and outside the firm. Accountability in this context means accountability to the community or society at large.